Kolkata: The Indian Medical Association (IMA) sought some amendments to the West Bengal Clinical Establishments (Registration, Regulation and Transparency) Act, 2017, to bring a single-window accountability. “The Medical Association is not against regulations and accountability, but the manner it has been put into the Law is contradictory to the Central Establishment Act. The IMA wants a single-window accountability, a single-window regulation and that’s not there in this Act,” IMA President KK Aggarwal told PTI. “There is no provision in the Law for making medicine cheaper, no mandate for cheaper investigation, nor for taking action against fraudulent complaints or a quack,” he said. “As per the Law, even for a clerical error a doctor can be put behind the bars… And for every complaint made against him, a doctor has to get an advance bail… Why is this difference between doctors in private and government facilities,” Aggarwal said. 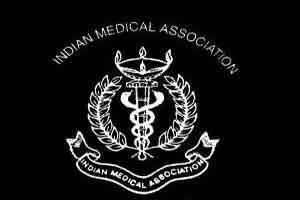 “The matter is that the Clinical Establishment Act of West Bengal contradicts some of the IMA’s stands. We want the Mamata Banerjee government to consider some amendments,” the cardiologist said. Earlier, Aggarwal along with IMA Secretary General Dr R N Tandon and others met West Bengal Governor K N Tripathi and submitted their objections.